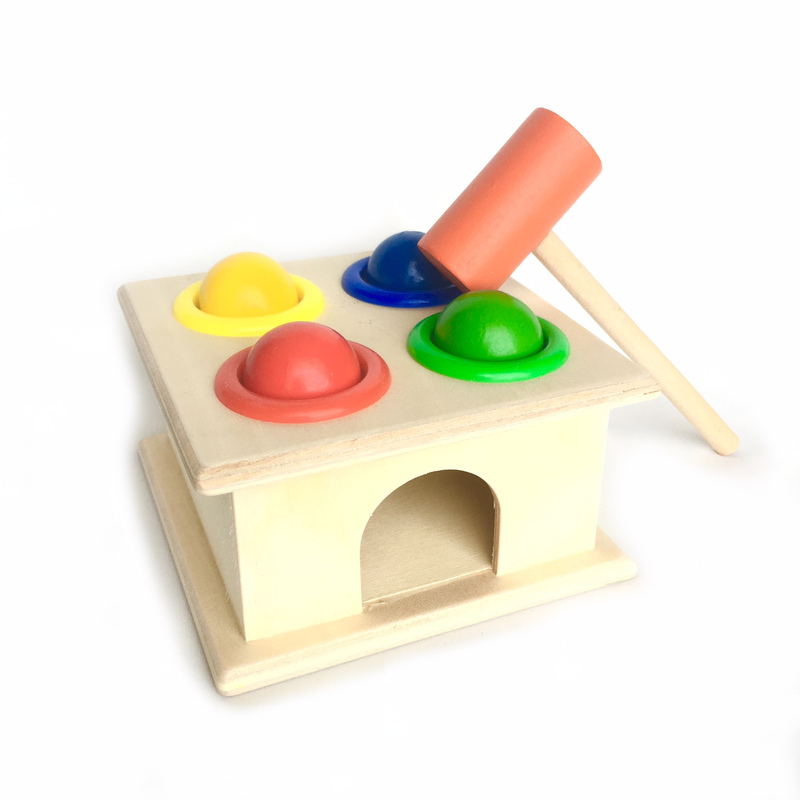 A novel wooden hammer case with 4 different coloured balls. Knock the balls into the holes with the wooden hammer. The Wooden Vertical Hammer Case Box is a lovely well-made toy guaranteed to make playtime interesting and educational for young children.